← Are Your Returns Above The Line? Bonds Breaking Equities. Core 7 Allocation. The recent shift down in SPY may be confirming a larger head and shoulders pattern. Without a change in the trend towards higher bond yields the SPY is facing a growing headwind. Already global export groth has weakened from its strong pace early last year. At these historical levels, investors need to be highly confident to remain commited to a passive high allocation to the equity market. The extremely low volatility levels of 2017 may now be in the past. 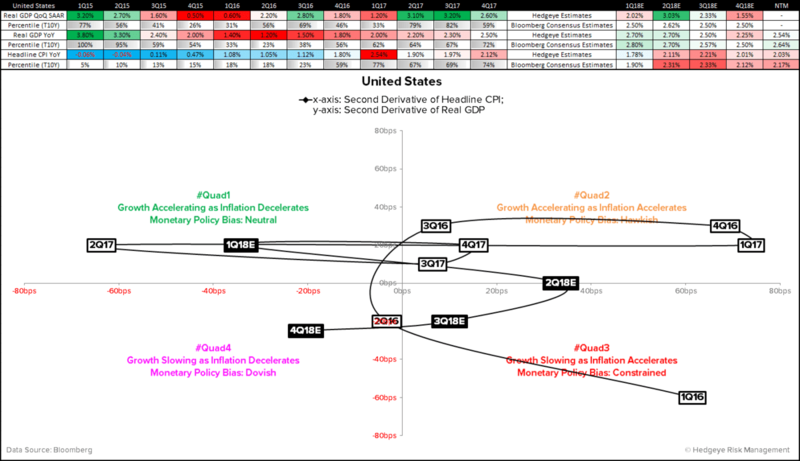 Three Allocation focuses. Core 7. The chart above is worth some deep examination. 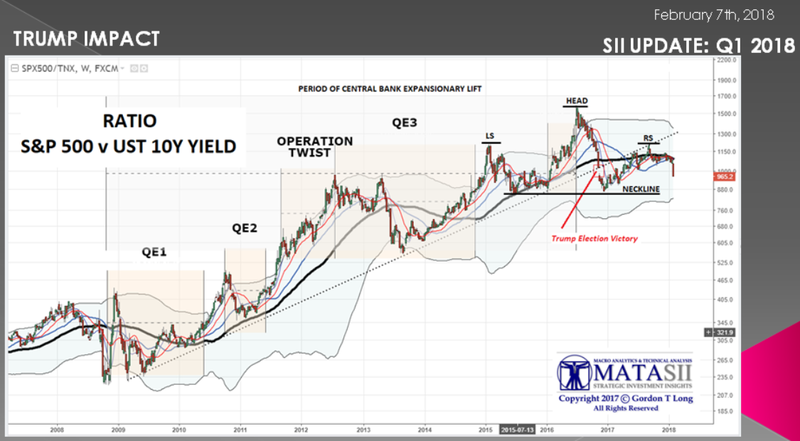 Look closely at the 2008 period and a head and shoulders pattern clearly developed prior to the collapse in the fall of 2008. Over the last 3 years a similar pattern has materialized, and on a bigger scale. 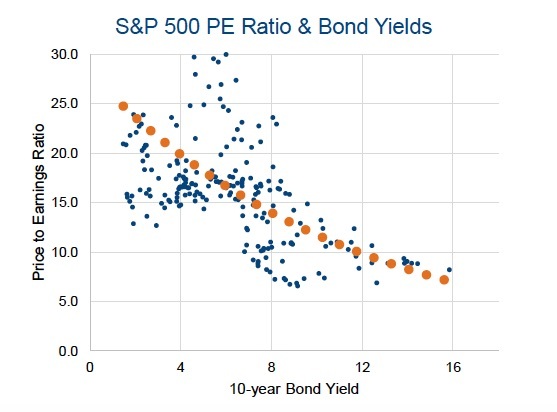 financing and also set the bar for the level of growth equities need to make up for lower dividend yields and risk. At some point equities break when the challenge gets too high. The chart below shows this correlation historically. The header chart above shows that SPY/TNX (S&P 500 divided by the 10 year Treasury bond yield) broke the uptrend since 2009 at the time of the Trump election. This is mainly because bond yields rose even faster than the S&P500 following the election. In 2017 bond yields stabilized as SPY rallied over the year, so SPY/TNX recovered, but remained capped by the previous trend line. Now bond yields are rising again into early 2018, and the SPY can’t keep up, and recently fell by more than 8% in 6 business days. The recent shift down in SPY may be confirming the larger head and shoulders pattern, and perhaps the right shoulder has completed. Already global export growth has weakened from its strong pace early last year. US growth may well be peaking in the first quarter this year according to Hedgeye. At these historical levels, investors need to be highly confident to remain commited to a passive high allocation to the equity market. While current mometum and data looks supportive they need to be durably so. The chart below puts this in context. With Vix exploding to new post 2009 highs Investors should really be questioning their assumptions. Higher volatility is typically a bear market phenomena. 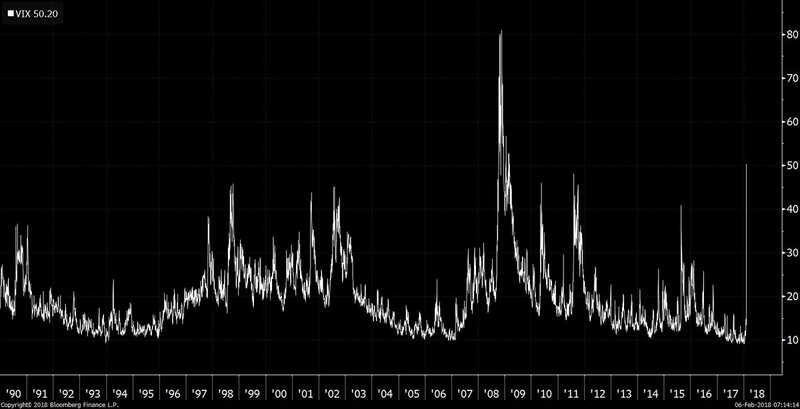 The extremely low volatility levels of 2017 may now be in the past. 1. Capital Preservation with yield. CD Bond, CD Asset, CD Passive. 3. Diversified tactical equities with tight risk management. Equity Aristocrats, Quant Agora, Venture Tech. Roughly a third in each of these is a good benchmark currently, as I believe caution and flexibilty are key components at the current time.